Daniel Cooper (left) and Eugene Hall have each received a prestigious fellowship to support the completion of their dissertations. 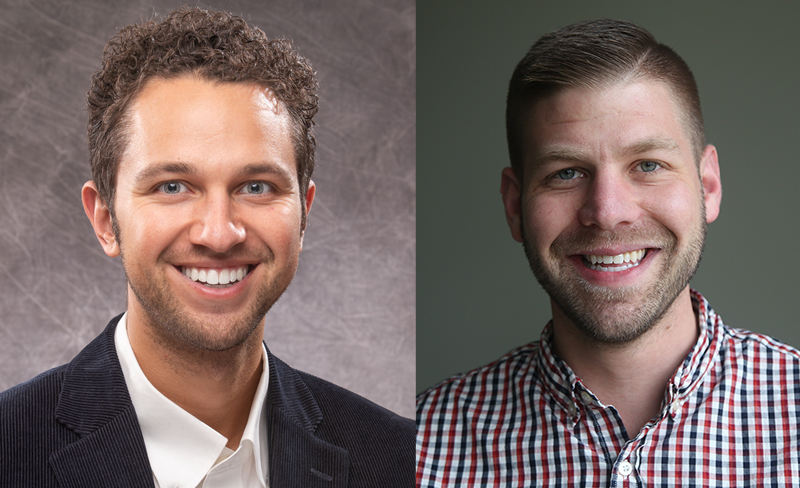 Daniel Cooper and Eugene Hall, graduate students in the Department of Family Social Science, have each been awarded an American Association for Marriage and Family Therapy (AAMFT) Minority Fellowship Program Dissertation Completion Fellowship. Responding to the need for more talented, culturally competent doctoral-level researchers, practitioners, and teachers dedicated to assisting underserved minorities, AAMFT created the program “to expand the delivery of culturally competent mental health and substance abuse services to underserved minority populations.” The MFP supports these efforts by providing financial support, training, and mentoring to all Fellows selected for the program each year. Fellows share a common vision and commitment to advancing the health and wellbeing of underserved minority populations through their research and service.